Writing a cover letter can be one of the most stress inducing aspects of the job search. The reason writing them is so difficult is because we don’t have a defined framework to follow. If you need to update your resume, you download a template and fill in the blanks. When you’re applying to jobs, the employer lays out the fields you need to complete right there in the application. But when you’re writing a cover letter, you probably find yourself staring at a blank Word document wishing the right words would will themselves onto the page. Most of us don’t consider ourselves to be the next Walter Isaacson, and the task of crafting the perfect story sits well outside of our comfort zone. It doesn’t help that most of the advice out there on the subject is vague at best. Assess the employer’s needs and your skills. Then try to match them in the letter in a way that will appeal to the employer’s self-interest. Arrange the points in a logical sequence; organize each paragraph around a main point. Basic fonts like Arial, Calibri, Georgia, Verdana, and Times New Roman work well. A font size of 10 or 12 points is easy to read. Standard margins are 1” on the top, bottom, and left and right sides of the page. While all of this advice is technically correct, did you feel your confidence skyrocket when you went back to type out that first sentence? Here’s the thing – most career “experts” out there give vague advice that they’ve seen work in their corner of the market. It doesn’t get too specific because many career coaches (even recruiters) have never been through the application process at a world class company. They don’t know the nitty gritty. When they do give specific advice, it’s usually tailored to a niche – software development, tech sales, finance, etc. But what works for one person in one industry or role might not work for a similar person in a different situation. I’m hoping to change things with this article. Over the course of this post, I’m going to lay out the cover letter strategies that thousands of my clients have used to land jobs across industries and at companies like Apple, Amazon, Google, Facebook, Microsoft, Deloitte, ESPN, American Express, and more. Before we dive into the actionable stuff, I want to provide some context on where cover letters fit in the hiring process. Cover letters are a strange animal. People seem to think that they are the missing link that will suddenly skyrocket the response rates of potential employers. When I asked my audience to choose between a guide on cover letters, resumes or LinkedIn profiles, cover letters won out by a significant margin. This leaves us in an interesting place. We need to craft a good cover letter to help boost our chances, but we don’t want to spend several hours doing so because there are far better ways to spend our time to get results during the job search. If you follow the networking and value-add strategies in my other articles, those strategies are going to be far more effective at breaking ties than a 3-5 paragraph document. 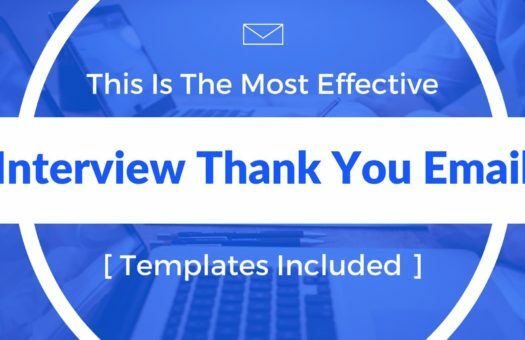 My hope is that this guide will give you a framework that enables you to efficiently craft cover letters that are more likely to get you hired. If we want our cover letter to be as effective as possible we need to make sure we avoid the mistakes that employers hate to see, yet most people still make. In order to be as accurate as possible, I went out and spoke to recruiters from Google, Microsoft, and a few Wall Street firms on top of my own research. Then I cross referenced that information with the several hundred cover letters that have come across my desk at Cultivated Culture. This is the most obvious and most common issue. Over 70% of recruiters noted that they would automatically toss a cover letter with some type of spelling or grammatical error. The good news is that it’s also the easiest mistake to fix. Before you submit your cover letter, make sure it’s reviewed by at least two other parties. You might want to consider hiring a professional editor/proofreader as they’re not too expensive for a short document and they will pick up on things most people would miss. It’s easy enough to find one on Upwork. Another trick you can use is including an obvious mistake about 75% of the way through. If you have “catching Bustin Jeiber’s sweaty t shirt at a concert” sitting in there and someone doesn’t call you out, you know they probably didn’t read it very carefully. 99% of the resumes and cover letters I receive are over a single page. Funnily enough, 99% of the recruiters I speak to tell me that they absolutely hate resumes and cover letters that are more than one page. The ideal length for a cover letter is 3-5 paragraphs. Changing the margins, font, and font size are all fair game – just keep things on one page, capisce? Your cover letter is a space for you to truly differentiate yourself. 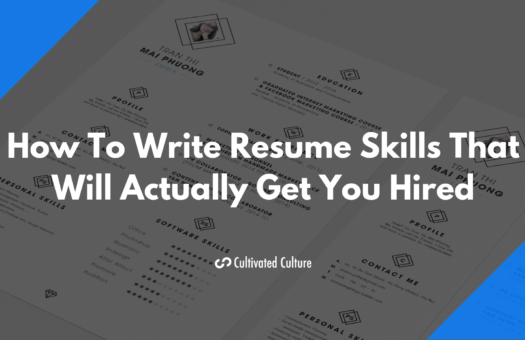 If you’re just taking the bullets on your resume and turning them into full sentences, you’re missing out on a HUGE opportunity. Use the cover letter to show a little personality and share something that people wouldn’t know if they just scanned through your resume (more on that in a sec). Remember, this is a tie breaker. If your cover letter isn’t holding people’s attention it’s probably going to lose out. Many of us feel unqualified for the jobs we want. As a result, we try to twist our experience to match the traditional qualifications for our target role. The problem with this approach is that you are competing against people who qualify for the traditional credentials, no matter what role you’re applying for. If you try to beat them at their own game, you’re going to lose 9 times out of 10. Am I saying you should forget about trying to spin your experience to position yourself well? Absolutely not. However, adding that business class on your resume when you’re 4-5 years out of college isn’t going to help much. Instead, focus your time outside of work on building tangible results that you can showcase in your cover letter (and resume). If you want to be a developer, take a few coding courses and build something cool. If you want to be in digital marketing, land a few clients and run their ads for them. Telling a story about how you took proactive steps to build experience in a field will beat traditional credentials in most cases. Companies love to see that you’re hungry to learn. Anyone who reads that is immediately going to mentally bucket it as impersonal. It’s far better to address your cover letter to an actual human, even if it doesn’t end up in their hands. Here is my strategy. I’m going to head over to LinkedIn and start by working to find the specific person who would manage the role I’m applying for. If I can’t find them, or I’m unsure, then I’ll aim for the most senior person that my target role would fall under. Regardless of who reads your cover letter, they’ll know that you did your research. 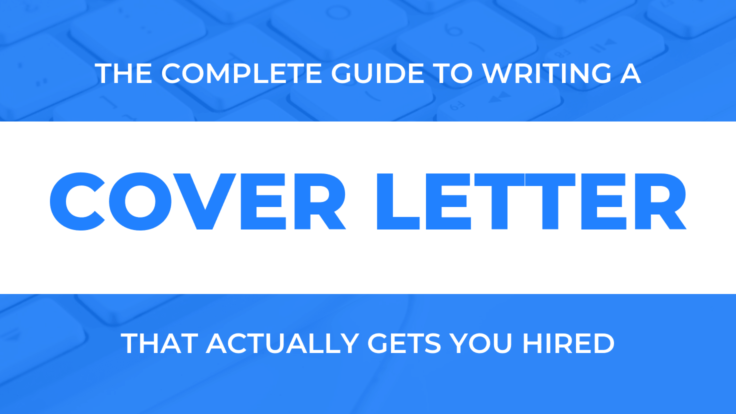 On top of that, your cover letter might even make it into the hands of the person you addressed it to! As mentioned earlier, your cover letter is one of the few opportunities for you to truly differentiate yourself from the competition. If you’re applying for jobs online (which I don’t recommend), the only thing you have to sell yourself is your resume, your cover letter, and your application. Instead of rehashing the experience on your resume, tell a story about how you got that experience. Make it unique and personable. 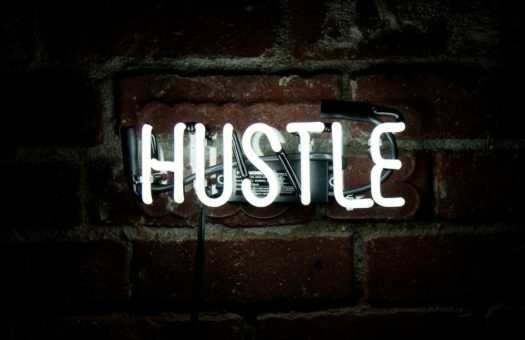 I had the most success when I talked about how I transitioned from a job in medicine to the tech world by starting a side business generating leads for real estate agents. I’d speak openly about the challenges I faced, the mistakes I made, and why I went through it all in the first place. Use this space to tell your story. Remember, people don’t buy what you do – they buy you why you do it. While we’re on the topic of telling stories, there is one thing you want to avoid – talking about something extremely uncomfortable. What might have worked for your college essay isn’t going to work here. You want to keep things professional. It’s okay to talk about business-related mistakes and challenges, but try to steer away from deeply personal stories. 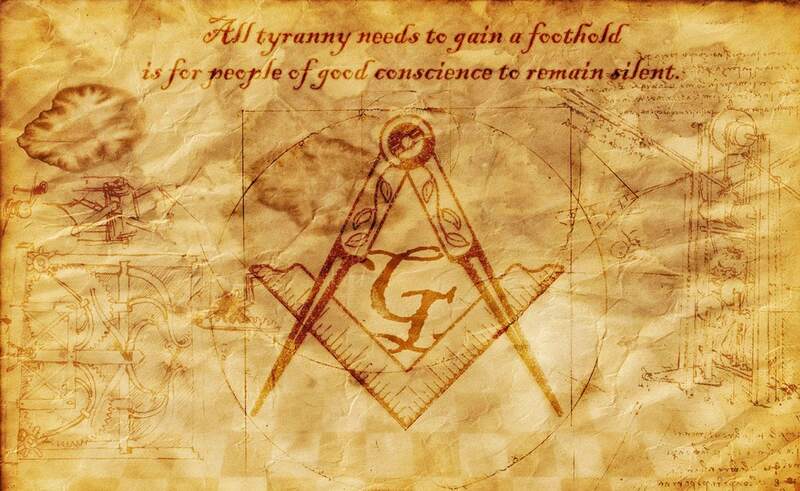 They are far more likely to hurt than help. If your cover letter doesn’t violate any of the rules above, you’re off to a good start! When I was job searching, one of the most frustrating things was trying to get a clear picture of what to include in my resume/cover letter/application. There is so much conflicting “expert” advice online it makes you feel like you’re shooting in the dark. Most people don’t realize that when they hit “submit” on their app, their cover letter gets scanned by a robot that’s looking for specific words and phrases. One of the major keywords the look for is a matching or relevant job title. If you’re applying for a Project Manager role, are you including Project Manager, Project Management, PMP, or something similar in your cover letter? That’s what the robot is looking for and the header is a great place to inject it. I recommend dropping it in right below your name. Once you get past the robots, your cover letter is going to end up in the hands of a real human. Email Address – Make sure it’s simple and professional. 76% of applications are rejected for having unprofessional email addresses. Also, don’t forget to hyperlink it! You want the employer to be able to click and get in touch. 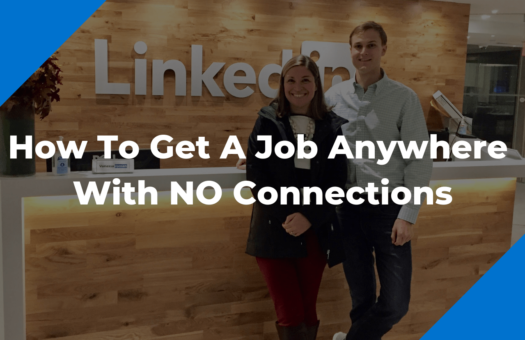 LinkedIn Profile – A recent study showed that applications that include a link to a comprehensive LinkedIn profile increase their chances of hearing back by 71%! Phone Number – If they like what they read, make it easy for them to pick up the phone and dial. Relevant Links – Your header is also a great place to share links to things like Github, relevant social profiles, personal websites, your blog, etc. Finally, a lot of people ask me about including a location. I don’t recommend adding your location when writing a cover letter unless the application requires it. It’s not necessary to give that information away and it can cause more harm than good. This is an overarching theme that you want to include in each section of your cover letter. Science has proven that people are more likely to remember information (or candidates in this case) when it’s delivered in the form of a story. Stories also help build a positive psychological association with the reader (or recruiter/hiring manger here). Remember Dan Brown’s book The Da Vinci Code? It was a novel about cryptic clues in some of Leonardo da Vinci’s most famous paintings leading to to holy grail. While the book itself is fictitious, the artists, pieces, and much of the history behind them is accurate. Now, if you asked most people about their opinion on art history, they’d tell you it was boring. They’d also groan in disappointment if you tried to get them to read a book on the subject. However, Dan Brown’s novel skyrocketed to the top of the New York Times bestseller list and became an international sensation. In fact, it caused applications for art history degrees to jump up 25% in the years following its publication. Why were all of these people suddenly interested in field previously considered to be “boring?” Because Dan Brown fed historical facts in the context of an interesting story! We’re aiming to do the same in our cover letter – specific examples below. In the first section of your cover letter, you want to briefly talk about why you are interested in the role and the company. Remember, we want to drive the message through a story. I wanted to recount a story from my referral [Name]. He’s in the education vertical and spends a significant amount of time at rural schools. When he was down in South Carolina, a teacher asked him about the possibility of getting wifi for the town and its students. [Name] said he would do his best and upon returning he asked around. He sent an email to Astro Teller who responded and they discussed the feasibility of implementing project Loon in the area. I don’t think it panned out but the fact that the communication took place over a tiny town in South Carolina sold me. That’s the kind of stuff I want to be doing. If you don’t have a story that immediately jumps to mind, the best way to get one is by talking to people who work at the company. Look up the company’s mission or their core values beforehand and ask that person to tell you about the best example they’ve personally experienced. You can check out this article if you want to know how to find someone’s corporate email address. The second section of your cover letter should showcase what you’re going to bring to the role by talking about your past achievements. Be sure to use measurable metrics (actual numbers and quantitative results) to support your points. You might notice that there isn’t much “traditional” digital experience on my resume. That is because, coming from a scientific background, I needed to take a different path. In an effort to gain experience, I created my own agency called OpenWater Analytics. I specialized in using AdWords to generate real estate leads for private communities. I managed the entire sales process from cold outreach, to closing, to servicing the accounts on your platform. Most recently, I helped a community in South Carolina sell every listing on their site (about 15 homes) in less than 6 months. Our cost per lead was half of the competition and we did it all for less than the commission the realtor would have made on a single house (including ad spend). When I wrote this, I didn’t have much digital experience to speak to. Rather than trying to spin what I had, I went out and built the experience myself by starting a digital marketing firm. Again, if you feel like your experience is lacking, get out there are create your own! 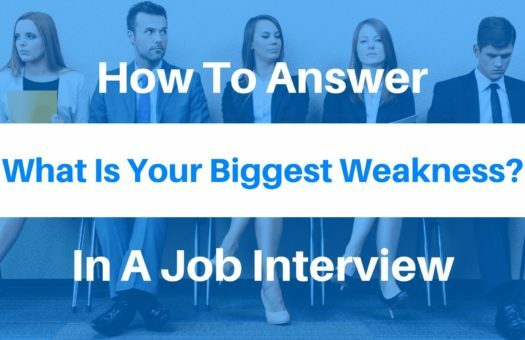 This consists of having a conversation with someone at the company you want to work for and identifying their largest challenge or upcoming initiative. You then use that information to research on your own and come up with several solutions/suggestions for your contact. In hopes of learning more about [Company], I had a meeting with [Name]. She told me that her team’s largest challenge was upselling customers into the company’s new, complementary platform. She noted that, despite the platform increasing retention and lowering costs for clients, the upfront cost to onboard was a major obstacle. In my previous role, we dealt with a similar situation. Our clients were receptive to adopting a new platform despite the data showing that it would be beneficial for all parties. I spearheaded an initiative where we tested and analyzed several revenue models that maximized adoption rates and profit margins. In the end, we increased adoption rates by 30% without impacting revenue. This section is incredibly powerful because it shows that you are not only interested, you went ahead and proved out the value you could bring to the team. Additionally, the call to action can lead to conversations with the very people who will make the decision to hire you! At this point you should have a solid understanding of the science behind writing a killer cover letter. You should also have a good handle on what mistakes to avoid so your cover letter makes an awesome first impression. Now we need to apply all of that to ink on paper! In order to make that easy for you, I’m including a copy of the cover letter templates that I used to land an interview at Google so you can see exactly how I wrote it. 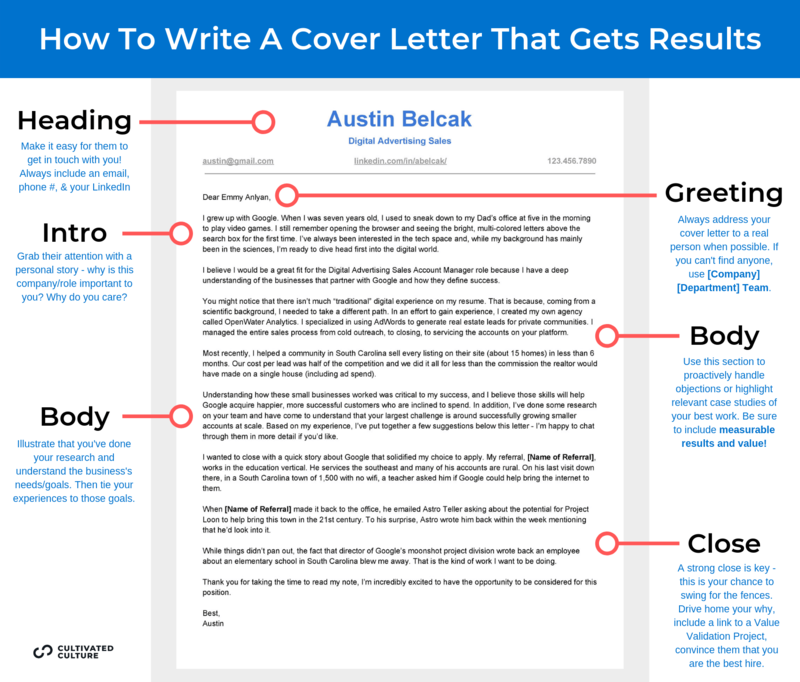 Before we dive into the exact cover letter template, I want to give you some context so you can better understand the content of the letter. 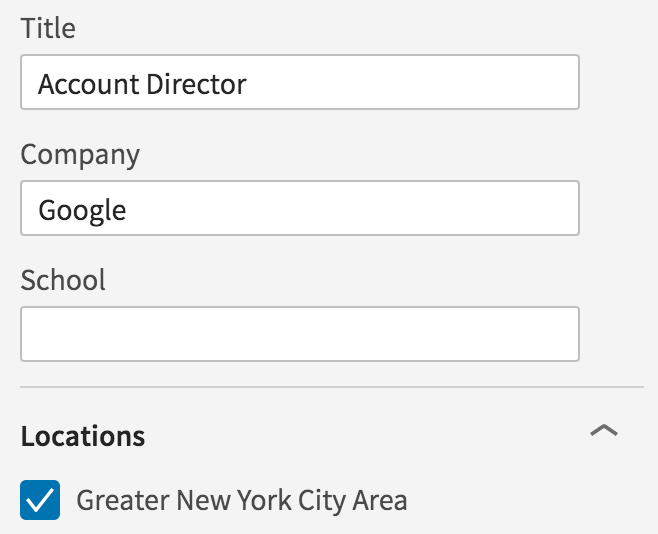 I was applying for a Digital Advertising Sales Account Manager at Google’s offices in New York. I started by doing some research on LinkedIn to find who I believed to be the hiring manager (her name was Emmy). I knew that my non-traditional background was a big red flag for most employers so my goal was to proactively address it in my cover letter by calling it out, talking through what I’d done to build the right skills, and highlight the results I’d achieved from those efforts. Finally, I had spoken to several Google employees who all told me that “Googliness” (cultural fit) was a huge factor in the company’s hiring decisions. If I wanted to have a chance, I needed a compelling narrative around why I wanted to work for them and why I was a good fit. I grew up with Google. When I was seven years old, I used to sneak down to my Dad’s office at five in the morning to play video games. I still remember opening the browser and seeing the bright, multi-colored letters above the search box for the first time. I’ve always been interested in the tech space and, while my background has mainly been in the sciences, I’m ready to dive head first into the digital world. 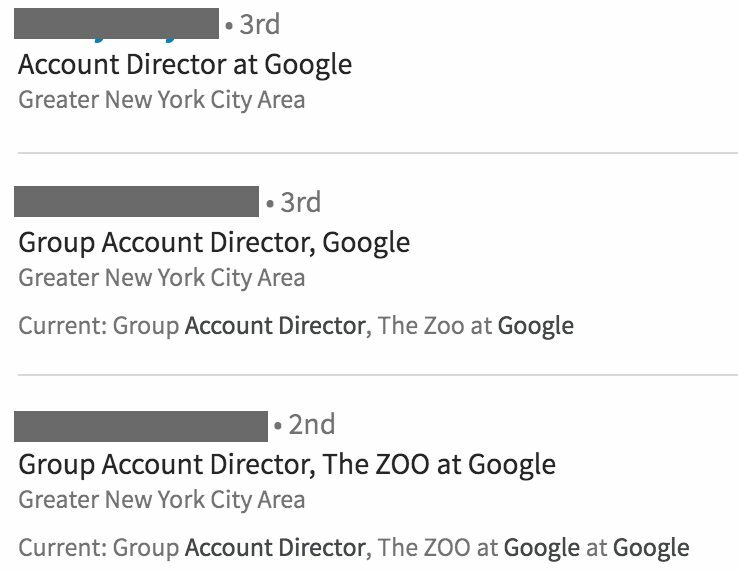 I believe I would be a great fit for the Digital Advertising Sales Account Manager role because I have a deep understanding of the businesses that partner with Google and how they define success. Understanding how these small businesses worked was critical to my success, and I believe those skills will help Google acquire happier, more successful customers who are inclined to spend. 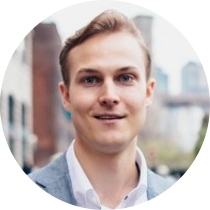 In addition, I’ve done some research on your team and have come to understand that your largest challenge is around successfully growing smaller accounts at scale. Based on my experience, I’ve put together a few suggestions below this letter – I’m happy to chat through them in more detail if you’d like. I wanted to close with a quick story about Google that solidified my choice to apply. My referral, [Name of Referral], works in the education vertical. He services the southeast and many of his accounts are rural. On his last visit down there, in a South Carolina town of 1,500 with no wifi, a teacher asked him if Google could help bring the internet to them. When [Name of Referral] made it back to the office, he emailed Astro Teller asking about the potential for Project Loon to help bring this town in the 21st century. To his surprise, Astro wrote him back within the week mentioning that he’d look into it. While things didn’t pan out, the fact that director of Google’s moonshot project division wrote back an employee about an elementary school in South Carolina blew me away. That is the kind of work I want to be doing. Thank you for taking the time to read my note, I’m incredibly excited to have the opportunity to be considered for this position. If you want a copy of that cover letter template with the header included and everything formatted, here’s a link to a copy on my Google Drive. After you click through the link, just hit File > Make A Copy > Organize to add it to your own Google Drive! You can also download it in a variety of formats. If you still have questions or thoughts about writing an awesome cover letter, drop a comment below — I’m happy to reply with an answer! Useful article for all job seekers who are likely to make cover letters to find a job but they should know that a poorly crafted cover letter may cost their dream job. Cover letter is important part of job application as it is first impression we’ll make with our prospective employer. Thanks for sharing these cover letter mistakes to avoid.